The books are flying off the presses in seemingly endless numbers; and frankly, I’m sick of hearing the statistics about the young adults who are dropping out of church. (I know, I know – I’ve listed some of these very statistics in my books and seminars!) But, please keep reading. I want to start hearing about the kids who stayed in church. I want to hear the stories of Christian kids who grow up and go on for God. I want to hear about the successes of Godly, Christian parents who are proactively working with the church’s youth leaders to develop strong, stable, and mature Christ-followers who as young adults decide to stay engaged in the church. I know many of these young adults who are absolutely committed to Christ and His claims on their lives. Some of them are currently in college, others are in the military or work force, and many of them are currently living productive live as God-honoring adults. 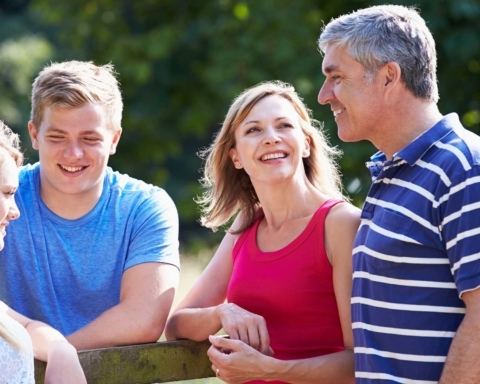 So, what can Christian parents do to help their children to grow up and go on for God? I’m convinced that we must look to the Scriptures for the answers! In the pages of the New Testament we are told the stories of some young people who grew up before our eyes (so to speak) in the Biblical narrative and who continued to live for God long into their adult lives. One of those young men was Timothy. We meet him in Acts 16 as a young man growing up in church and we read his story throughout the Epistles, including Paul’s last letter to him in 2 Timothy. There are many things in the Bible that we can learn about Timothy, but for the sake of this quick post lets talk a look at some of the things his parents (especially his mother, Eunice – see 2 Timothy 1:5) did right. It’s important to note that parenting is never a formula or a recipe. It doesn’t work to frivolously think that a few quick ideas lead to spiritual success with our kids. However, if we look at the sweeping principles that seemed to guide this family, we can take away some very practical advice for raising our own kids for God today. Probably the most obvious thing that this family did right was Eunice’s and Lois’ consistent or genuine walk with God. The Bible calls theirs an “unfeigned” (KJV) or un-faked faith! Timothy’s mom and grandmother demonstrated a genuine relationship with God – and it impacted Timothy. Notice in verse 5 that Timothy also demonstrated a genuine faith. 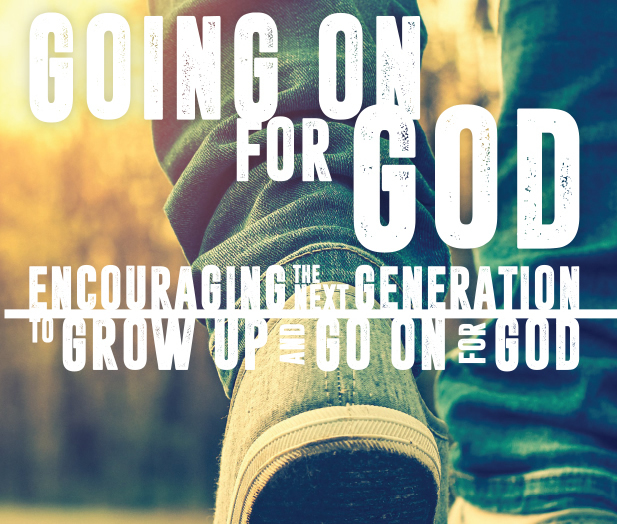 He grew up and went on for God – and that’s what we want from our kids, too. The second thing this family did right was that they made it a priority to communicate Biblical truth. Notice that from his earliest days, Timothy learned the Scriptures. The next two verses (2 Timothy 3:16 & 17) reveal that this strategy was much more than a rote memorization of the Text. He also learned that Biblical principles are “profitable” for life and that these principles lead to true spiritual maturity. There’s another key element to their strategy that is worth identifying and that is their cooperation with the church to help develop Timothy’s faith. Acts 16 identifies him as a “disciple”, who as a young man already had a good testimony with the other believers. He also was personally selected by the Apostle Paul to go along on this missionary journey. The text expounds on the purpose of their ministry, “So the churches were strengthened in the faith and grew daily in numbers. (NIV)” Obviously, the church was a priority to young Timothy. He grew up in church and committed himself to a church-based ministry. The Acts 16 passage also presents an interesting scenario of Timothy’s circumcision even though his was a Greek (see verse 1). He perhaps was willing to submit to this cultural ritual due to the cross-cultural background in his own family. This somewhat dysfunctional family environment undoubtedly produced a heart-felt concern for other people and a genuine sensitivity for others. The final positive thing I’d like to identify from this family was their dedication to God’s work. They were willing to allow their son to follow Paul along on this journey. Without any visible hesitation on anyone’s part Timothy joined the missionary team and set off on what was the beginning of his call to vocational ministry. Timothy was a young man who grew up and went on for God. The narrative of Scripture points out some identifiable things that helped in this process. Perhaps there is practical wisdom here for today’s Christian families to implement into the fabric of raising their own kids. May God bless you as you seek to impact the next generation for eternity.